How Do You Plan to Use Your Denver Basement Remodel? 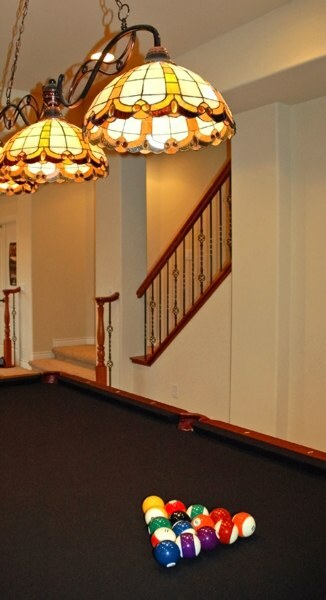 Recreation/Game Room - If your primary usage of your Denver basement remodel will be recreation, then you'll want to include plans for adequate lighting and space to move For example, do you plan to put in a pool table or ping pong table? If so, make sure there's ample space around the table for players to move freely, and install some good overhead lighting -track lighting is one good option. Solid non-slip supportive flooring that looks attractive is another point. Then of course, take into consideration any other furniture or appliances that might be in the basement, such as a refrigerator, freezer, washer & dryer, etc. The placement of these items should be separate from the playing area so some family members can play while others may do chores, without interrupting one another. 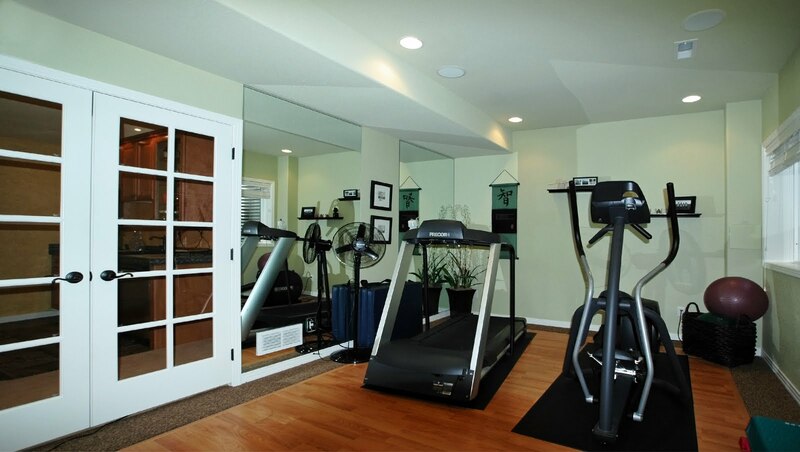 Exercise Studio - Always a popular Denver basement remodel option, you'll want to allow sufficient space around each piece of equipment so that it and YOU can move easily and correctly. 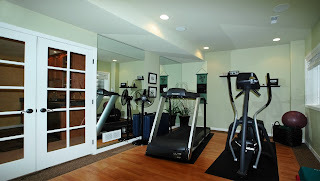 You may want to include some mirrors on the wall to observe your form when exercising. Wine Storage - Using your Denver basement remodel as a wine cellar is a great idea, providing you utilize the correct lighting, racks, and lighting. Entertainment - If you're looking to create an additional entertainment area for your Home Theatre & media (DVDs, game consoles, music, etc.) then measuring carefully for the desired wall unit's placement, then using complimentary wall and floor colors for that unit are important factors. And of course, comfortable, attractive furniture where you can sit or lounge is mandatory! You simply can't create a proper "man cave," "woman cave" or "kid cave" without comfort. Your sound system is very important, too, so doing any necessary sound proofing in order to keep the volume from interfering with other areas of the house is a great idea. Wet Bar & Kitchen - If your ideal Denver basement remodel usage is to create an additional dining, cooking & entertaining area, you're going to want to install appliances that are functional as well as attractive, and fit into the space perfectly. A great bar and some comfy, attractive bar stools can really set off the space nicely. Good lighting above the bar, sink and stove, and comfortable flooring (possibly cushioned mats) are also important. Who Should Do Your Denver Basement Remodel? Well, unless you're an experienced do-it-yourselfer, and we're talking contractor level here, just to insure your Denver basement remodel totally meets with your needs and satisfaction on every level, you'll probably be happiest hiring a professional. Your Denver basement remodel is something you want to be able to live with happily for many years to come, so don't take unnecessary risks. 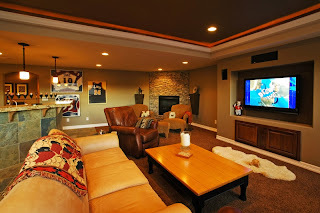 Aspen Builders of Denver can advise, design and complete your Denver basement remodel professionally, attractively and make sure everything is up to code. By hiring Aspen Builders, you can't go wrong. 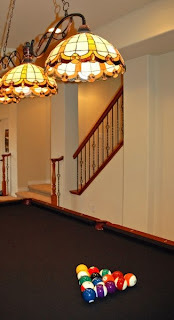 Take a look at some of the beautiful Denver basement remodeling jobs they've done. These videos and pictures speak for themselves regarding quality, craftsmanship and beauty. Give Aspen Builders a call to get the ball rolling toward creating the Denver basement remodel of your dreams! 303-471-4355. Or email them or schedule a FREE in-home design consultation.